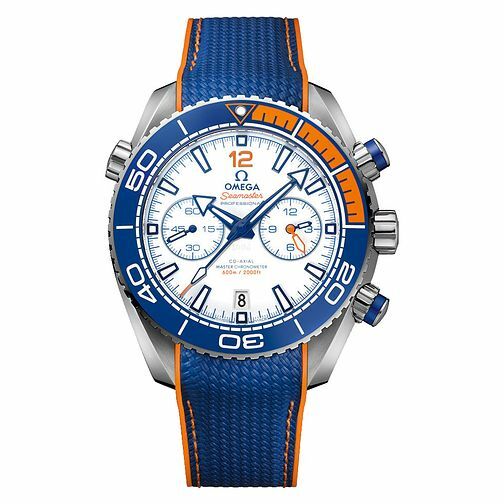 Created as a testament to peerless performance, this limited edition watch by Omega pays tribute to Olympic swimmer Michael Phelps, with a nautically styled strap and dial with sporty orange accenting. The subdials help increase accuracy with a rotating bezel that easily tracks one minute. The watch features up to an incredible 600m of water resistance, making it a perfecting option for swimming or diving. This watch has a Master Chronometer rating, giving it very high levels of magnetic resistance in tougher conditions.